K2 Summer Camp is 8 Weeks Away! Our K2 Campus team is in full gear planning another amazing summer camp, and yes, it’s only 8 weeks away! Our summer camp runs from June 3-August 23 and is full of Friends, Flips and Fun! Some of our campers join us every day for the summer, while some are part time and choose varying weeks or just a few days a week. 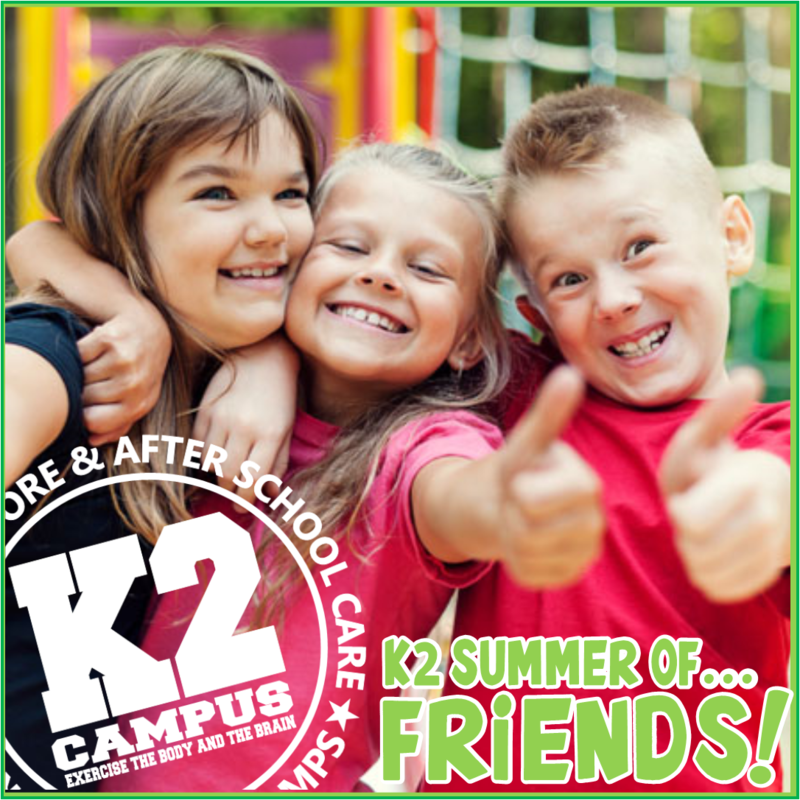 Our flexible enrollment packages, from 2-5 days per week, make K2 Summer Camp available to everyone! Our camp staff are FBI fingerprinted, trained to teach our hands-on and fitness related curriculum and also focus on creating a family-like camp culture. K2 campers participate in several programs throughout the summer that build upon this. • Camper Jobs-Each day children are assigned a specific job to help with classroom tidiness or activities. Some examples include snack helper, door holder, light monitor and craft set up. • Be a Buddy Program-Our 3rd and 4th grade campers are involved in a mentoring program with the preschool campers. Once a week they visit a preschool classroom to read to the kids, help with a craft or play a game. • Forever Young-Our leadership group (5-7th grade) visits the Parsons House, a senior living community, once a week. Our students play card games, board games and visit with the residents. • Acts of Kindness-Throughout the summer, and specifically in our acts of kindness week, our campers participate in community service projects, both locally and nationally. 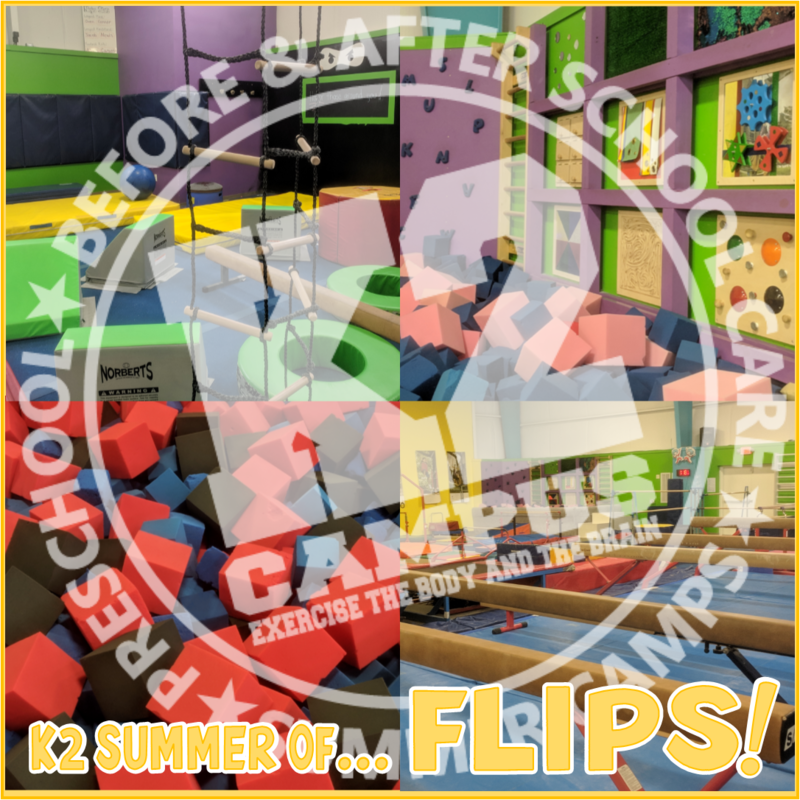 In addition to our over-sized classrooms, K2 has a 10,000 square foot gym facility housing trampolines, spring floors, rope swing, Ninja equipment, inflatables and a foam pit. Our gym time consists of instructor led sports games mixed in with kids choice time. Campers will spend approximately 3-5 hours a day in physical activity, depending on their enrollment time frame. Additionally, some of our campers choose to participate in K2 Academy led gymnastics, ninja or tumbling classes. For those that add on these programs, our camp staff will ensure they make it over to their class on time. Additionally, many of our field trips involve participation in other sports, trampoline parks, farms or other activity that keeps our campers moving! With all the fun we will be having, the only tough part will be keeping your kids awake for the drive home! 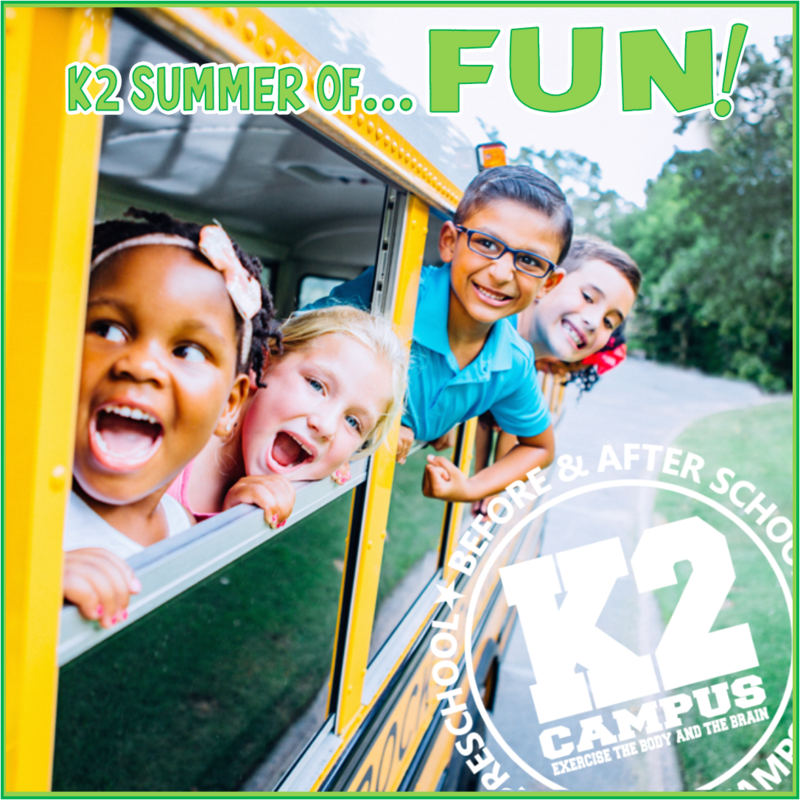 K2 Summer Camp offers daily “extras” that make our summer camp hands-on and FUN for all our campers! Each day of the week offers a special activity. And, our classroom time is more than just play time. Each week our summer theme “Backpacking through Europe” is broken down into a different country or European topic focus. We will discuss famous painters, architecture and food in fun and engaging ways. Previous Previous post: Open House this Saturday!